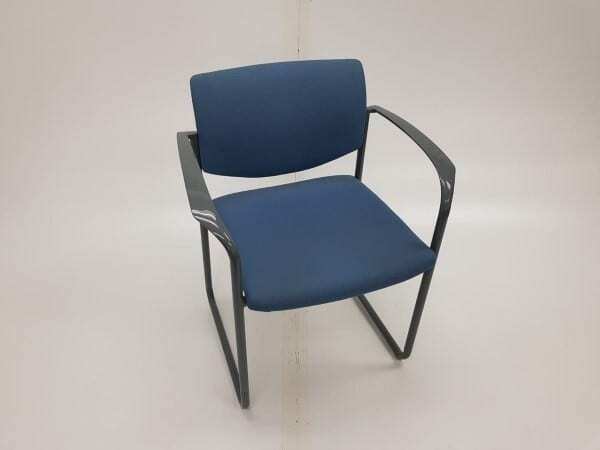 We currently have 30 used Steelcase Meeting Chairs in stock, which you can view by clicking on the images to the left hand side of this page. These products are finished with a royal blue fabric seat on a cantilever base and represent a comfortable and space-saving option for any meeting room or conference room. If you would like to find out some further information about these products, please contact one of our sales team on 07944 508282 who are available between the hours of 9am – 5pm, Monday to Friday. If you are viewing our website using a Mobile Device, just click on the Telephone Icon located at the bottom of this page or alternatively, you can enter your details into our ‘Request a Quote Online Form‘ shown below and one of our sales team will be in touch to assist you further. 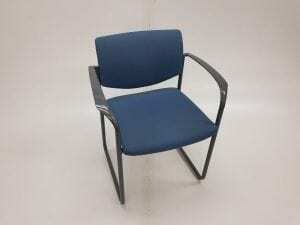 If you were unable to find what you are looking for, we have an extensive range of second hand meeting chairs in stock. Just click on the link provided, or simply enter your details into our ‘Request a Quote Online Form‘ below and one of our sales team will be in touch very soon.